Chem-Dry’s rivals in the carpet cleaning industry are mostly independent, sole proprietors who use portable or rented equipment. Many are poorly trained in the techniques of effective and efficient carpet and upholstery cleaning and, in the worst cases, hold no relevant knowledge at all. Here Chem-Dry has a clear advantage as you, as a franchisee, will know all the ins and outs of carpet cleaning before your business even opens its doors. Unequivocal importance is placed on the Chem-Dry training programme as without the necessary skills and knowledge there will be no trust between yourself and clients. Trust is the single biggest factor in the carpet and upholstery cleaning industry and customers need to have confidence in the people they hire as they are working in their personal homes and office spaces. If this trust is broken it is highly unlikely that the business will be called on again. 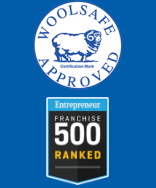 Here again Chem-Dry has the upper hand as we only select the best possible franchisees to represent our brand. The Chem-Dry recruitment process includes personality profiling to ensure that our franchisees are able to operate a business to high standards as well as possess the necessary customer service and communication skills to build strong relationships of trust with their clients. Over 80 % of Chem-Dry’s customers are upper middle class home owners, many with children and pets. In addition the majority of these clients are not necessarily looking for the cheapest carpet cleaner around, but rather a cleaning company who will get the job done correctly and efficiently. For most customers, scheduling in a carpet cleaning session around lift-clubs, kids sport and school homework is no easy task and they want to ensure that the job gets done properly and with the minimal amount of fuss the first time around. Such clients, especially those with children, are careful about who they allow in their homes and usually look for a well-established and reliable name. Chem-Dry has found that our carpet cleaning services are often chosen over the competition for this exact reason as most customers are active on social media, using Facebook and Twitter to ask for carpet cleaning recommendations as well as using these platforms to sing the praises of Chem-Dry. This is one of the many ways that Chem-Dry clients demonstrate their high level of trust in us, which leads to better business and more profitability for franchisees. 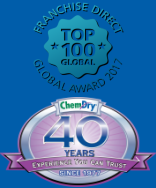 Chem-Dry South Africa goes to great lengths to protect our highly regarded and respected brand name and select only the best franchisees, capable of delivering superior customer service. 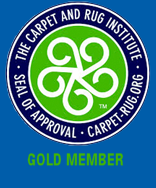 Our reputation in the carpet cleaning industry remains unmatched as do our efforts to retain the excellent Chem-Dry brand name. 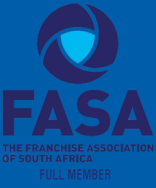 By selecting the best franchisees, who deliver the highest quality service to our customers, we are fulfilling our brand promise and building a reputation that others in the industry simply can’t equal.